You can save a fortune on your vacation with a cheap Cabo San Lucas Hotel. These hotels in Cabo San Lucas not only save you money on your accommodation, but they save you money on your cab fares as well. These Cabo hotels are in the heart of downtown Cabo so your right next to the Cabo nightlife. You can easily go for a night out at one of the hottest nightspots in Cabo San Lucas and be just a couple of blocks from your hotel. No cab fares means you get more money to spend on the good things. 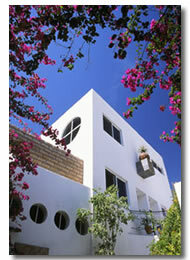 A cheap hotel in Cabo San Lucas gives you the luxury of not continually being pestered by timeshare sharks. They hang around the expensive resorts most of the time and ruin many people's vacations. 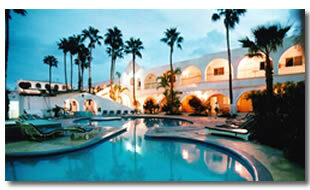 Hotel Mar De Cortez is a cheap Cabo Hotel that is much larger than the others already mentioned. 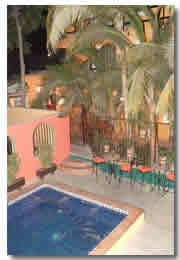 You have the choice of 90 rooms here, do if you like a busier place to stay this might be the Cabo hotel for you. 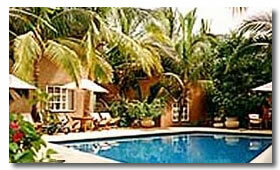 You also have the luxury of a larger pool area if you like spending your daytime soaking up the sun.